Justin D'Ath is back with a new series, that has a slight twist on his popular adventure series Extreme Adventures and Mission Fox. This series is set 12 years in the future (no actual year mentioned, so it will always be 12 years from whichever year the reader is from). In this version of the future there are no animals. There has been a white rat virus that has wiped out every species of animal. 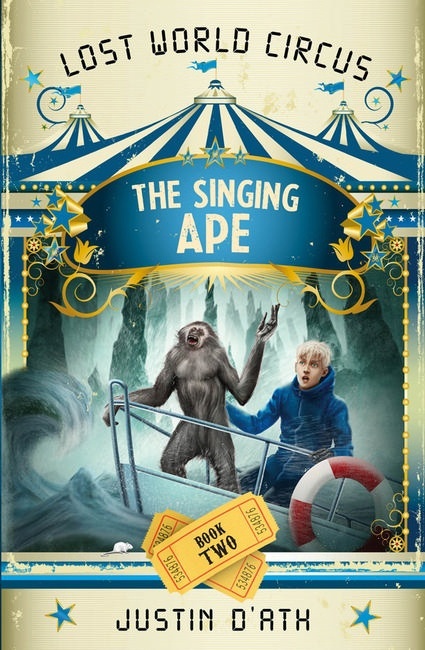 One exception to this is Noah's Lost Animal Circus, where we has the last of a number of different species, the star of this book is the elephant, Lucy. 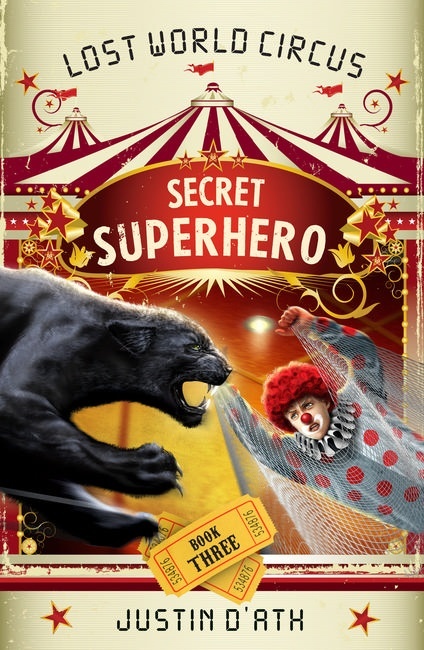 Our hero Colt, finds himself at the circus, and when a white rat infiltrates the circus tent and bites the elephant, he finds himself on an adventure to save this amazing animal. Being bitten by the rat means it has to be put down, but Colt is sure that his Mum's vaccine will do it's thing and the elephant will survive. 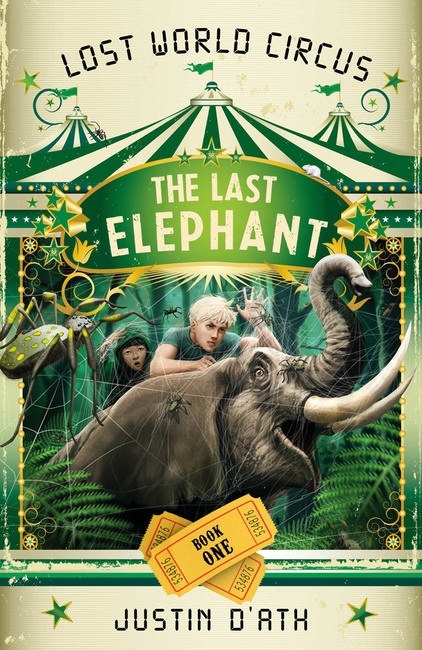 With the help of the circuses youngest acrobat Birdy, they endeavour to free the trapped elephant from it's inevitable death. It's a series for animal lovers and adventure lovers alike, and I think it will appeal to girls and boys which is quite a rare find. There's also a quiz in the back of the book relating to endangered animals, which I like, because I like those little added extras in books.